SB 110, PN 82 (Yaw) – This bill amends the process for local governments becoming home rule or optional plan governments, by limiting the frequency with which municipalities can place questions related to the creation of a governmental study commission on the ballot if any one of those questions was defeated in the last four years. The bill also restricts the placement of the government study commission ballot questions to general elections. SB 316, PN 295 (Gordner) – This legislation would allow Second Class Township boards of supervisors to authorize newly elected supervisors to attend trainings relevant to their elected office prior to assuming office. This would also allow the boards of supervisors to pay for the expenses of these trainings. 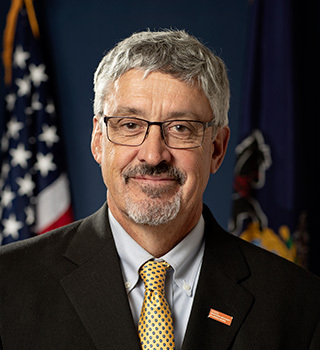 SB 317, PN 296 (Gordner) – This legislation amends Section 3202 of the Second Class Township Code, providing for annual budget notification requirements. The legislation changes the number of days between advertising an amended annual budget (after significant errors are discovered in the initial proposed budget) and adoption of a final budget from 20 days to 10 days. Secondly, this legislation removes the requirement in Section 3202 to use a uniform budget form that is no longer in use, and made obsolete by Act 35 of 2000. HB 264, PN 361 (Mako) – Standardizes procedure for authorities to manage funds and accounting practices, and provides for annual audits and public fiscal reports. HB 275, PN 246 (Mehaffie) – This bill amends the Municipalities Financial Recovery Act (Act 47 of 1987) to change the name of the Early Intervention Program to the Strategic Management Planning Program.